Who doesn’t love the idea of going camping? The smell of campfires, s’mores a’plenty, singing kumbaya, sleeping amongst the stars…….. Sounds great right? Well, if you don’t prepare in advance for camping, you might not have quite the experience you were envisioning. Here are the 7 essentials for C.A.M.P.I.N.G. to give you the best chances of enjoying a great experience for all. C is for Cut Wood. If you don’t have cut wood, you don’t have campfires. And if you don’t have campfires, you don’t eat. At least you don’t eat anything hot. That is unless you have an RV or camper with an oven/stove. But really? Cooking your food with an oven/stove is just like cooking it at home. Ya gotta have that camping experience by having a constant fire going. 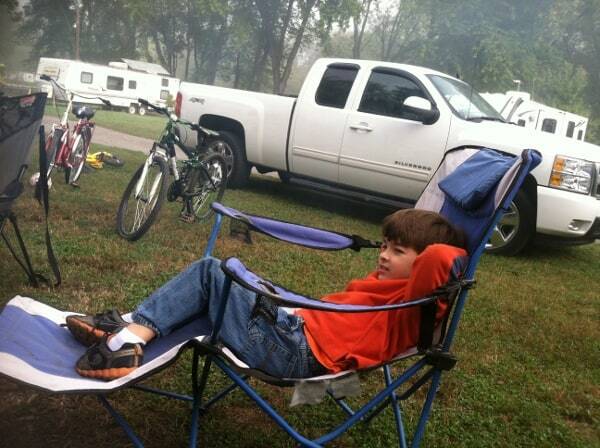 You haven’t officially camped unless you come home smelling like one big campfire. Check with the campsite first to see if they offer cut wood for sale. Most do. But they’re usually small bunches. And cut wood goes fast when you’ve got a fire going 24/7. 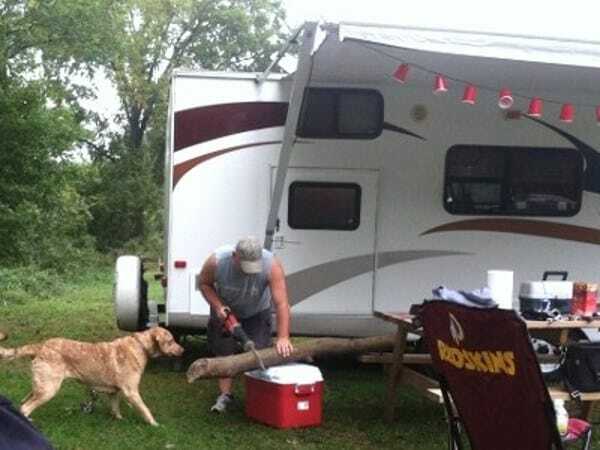 If the campsite allows, and you have enough room in your vehicle, bring cut wood from home. It’ll save your kids from having to go out on a mission at the campground for enough sticks to sustain a fire. BUT, make sure you check with the campsite in advance. Many campsites do not allow wood to come in from offsite due to non-native insects entering the campsite. OH! Don’t forget the matches or lighters! 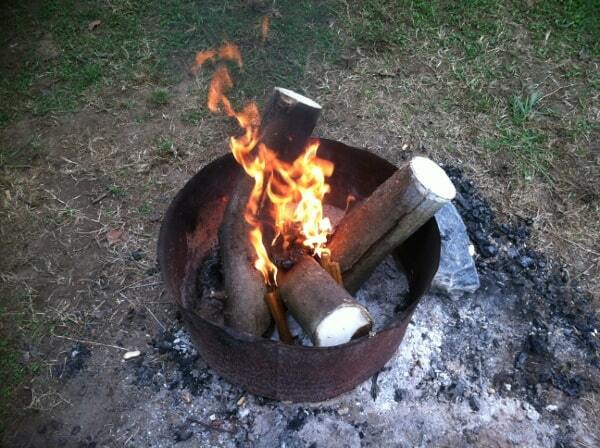 My brother-in-law ‘found’ this log to cut for our campfire. There are some Amazon affiliate links in this post. If you click on them & make a purchase, I will receive a very small percentage – like a few cents. However, this does not affect the price you pay or my opinion on these items. A is for Ambiance. Sure, bringing a tent, sleeping bags, and a flashlight are all the ambiance you may need when camping. But why not make it a more pleasurable experience by homing it up some? Bring some of your favorite music. Fluff up your sleeping area with some cushy pillows and blankets. Buy a cheap but colorful area rug to place in front of the entrance to your sleeping quarters. 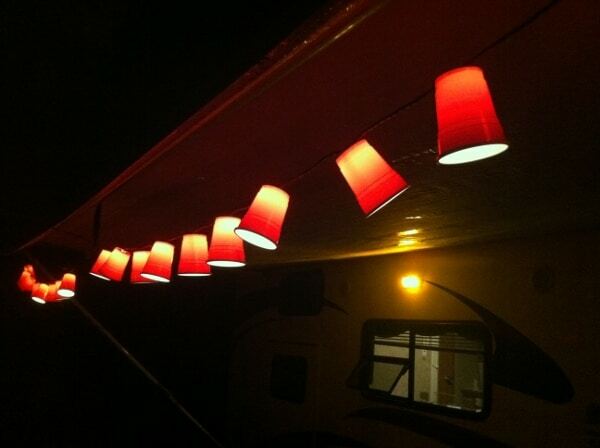 Hang up some Red Solo Cup String Lights. Get some festive paper goods from one of my favorite stores, Christmas Tree Shops. This place is awesome for picking up some festive outdoorsy decor and paper goods at very reasonable prices. And don’t forget some comfortable chairs to place around the fire. Some people go even so far as to call it ‘Glamping’. Check out some Glamping pictures on Pinterest. 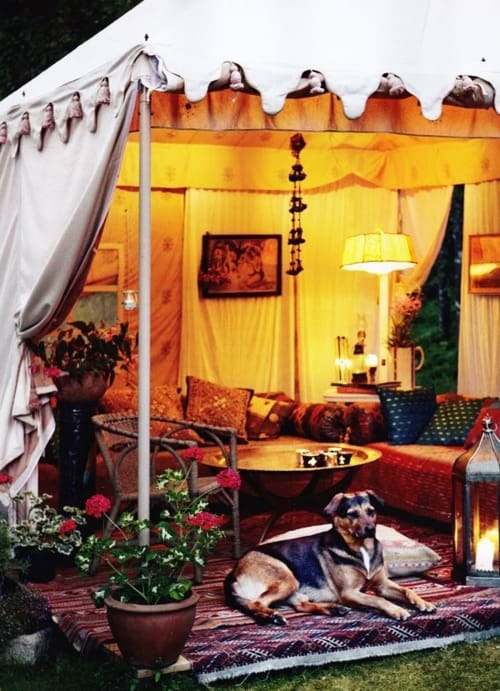 There’s even a book on Glamping called Glamping with MaryJane: Glamour + Camping. MY kind of book! Glamping it up. Photo from Colin Cowie Weddings. M is for Meals & Marshmallows. Plan some meals in advance so that once you’ve setup camp, you can relax for the duration and don’t have to run out to pick up anything. 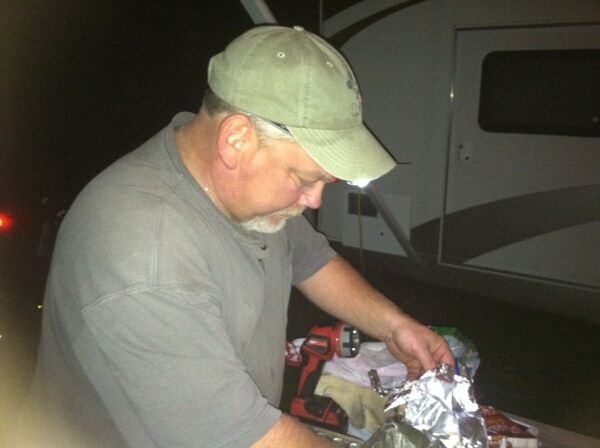 Pinterest is a treasure trove of ideas for great camping meals. P is for a ‘Potty Plan‘. Depending on where you are camping, there will either be a restroom nearby OR there will be trees. Does your camper or RV have a bathroom? Or did you just bring a tent? 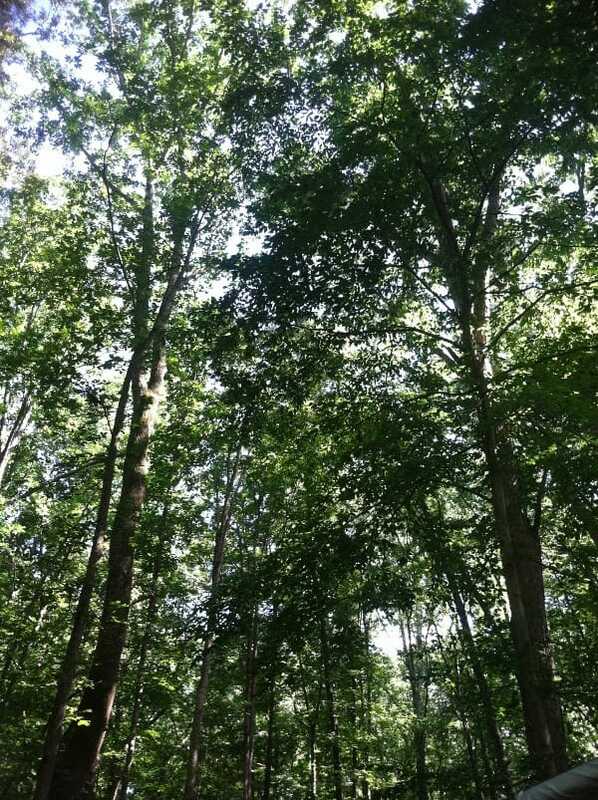 Last summer my family camped at a really nice campground. However, the bathroom wasn’t easy to get to, especially at night. The solution? My bike. Waking up at 6am and having to use the bathroom desperately, I jumped on my bike half asleep and rode over to the restrooms. Thank goodness I had the bike because I don’t know if I would have made it in time. If you’re a woman, it’s not so easy to just ‘go’ in the woods, especially when there are other campers nearby. 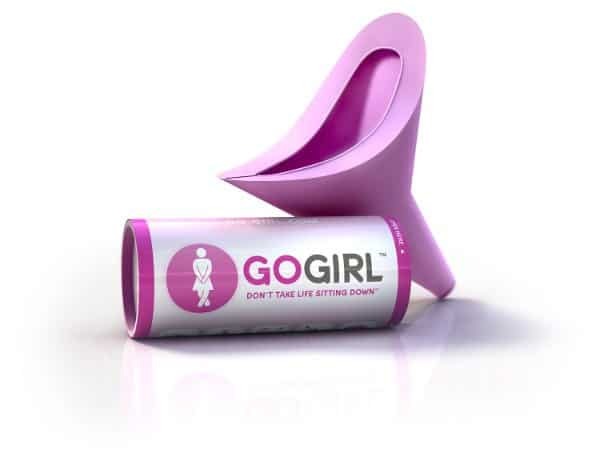 I found a product called the Go Girl. Click on the link to see how it works. It ain’t no joke. It really does work! I practiced at home. I haven’t had the nerve yet to use it while camping but I’m sure the opportunity will present itself eventually. Shhhh. Don’t say anything, but I think my husband has a little Go Girl envy. I is for Insect Repellent. Most of the time camping involves trees, high grass, and sticks. It also involves some wild animals. With trees and wild animals comes ticks. Some ticks can be very dangerous and spread lyme disease. We don’t want a fun camping adventure to turn into lyme disease. Make sure you bring insect repellent to not only keep away the pesky gnats, flies, and other bugs, but to especially repell ticks. And by all means, do a tick check often and shower as soon as you can. 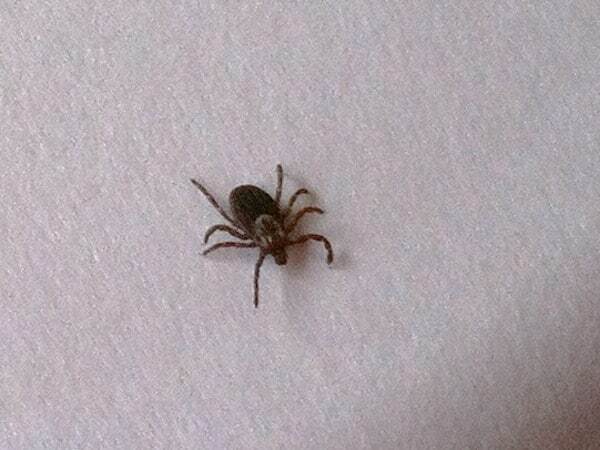 The tick we found on my son’s head after a camping trip last summer. N is for Night Lights. A flashlight or 2 is nice, but when it gets dark, it gets REALLY dark. Having some string lights across the front of your camper or tent will help you find your way back after a bathroom visit. Lots of flashlights will keep you from tripping on rocks. a couple of nice lanterns and a headlamp will help when you’re preparing your food, cooking it and eating it. And by all means, don’t forget the batteries. Cooking in the dark, using a headlight. 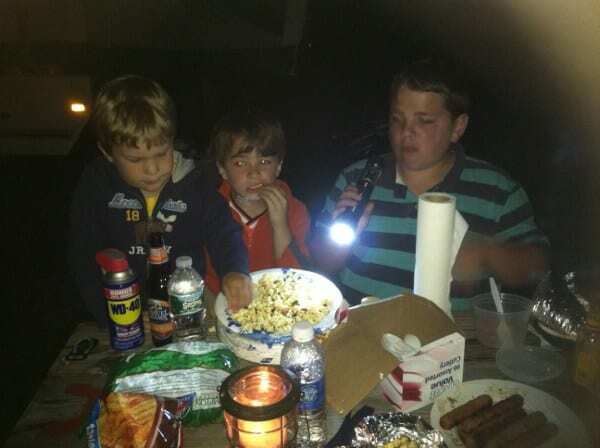 Using a flashlight to eat. G is for Garbage Bags. You’re going to make a lot of trash. More than you realize. Most campsites provide large garbage cans but they’re not always located right next to your spot. Keeping a few garbage bags handy will make it much easier to clean up when you’re packing up to head back home. 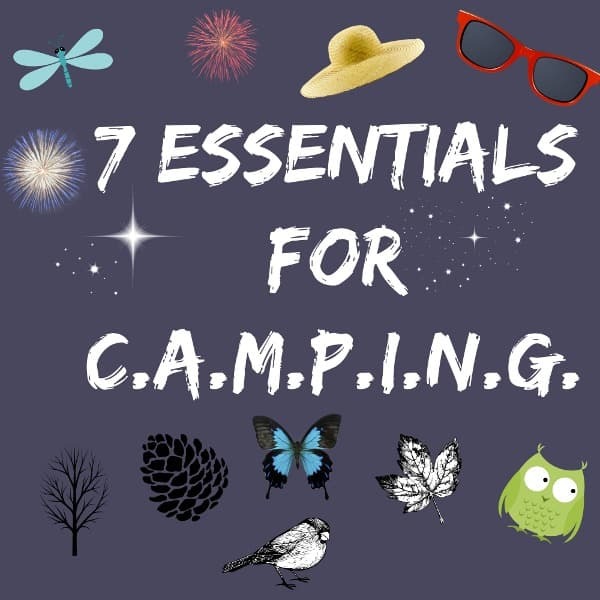 Obviously the above 7 categories aren’t the ONLY essentials you need for a successful camping trip, but they do cover the important things. For more detailed list ideas, go to Pinterest under ‘camping list’ and you will find a bunch to print out. Camping can be so much fun! As long as you prepare in advance, good times are sure to be had. So go out there and get YOUR camp on!